The board powers up to 8U with a 60W external power supply. Power connectors can be added but please note that you still need to solder wires and a power switch to the connector ! The offered barrel power connector and power switch fits to all Buchla format boats in this shop. 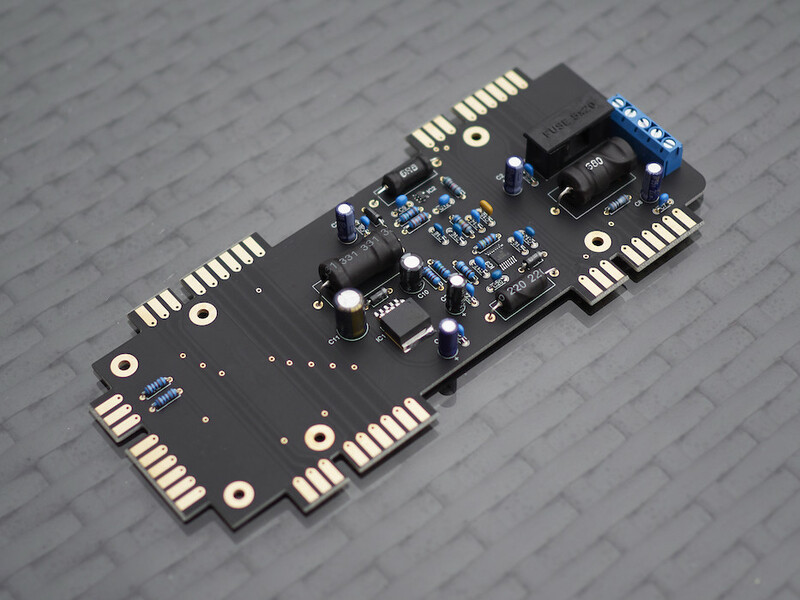 The offered “PCB only” comes unstuffed – no parts, just the bare PCB for DIY enthusiasts. We will provide a BOM after purchase. We will not take any responsibility for damages or injuries caused when building or running your own power board.